Located on the southern tip of Vancouver Island, Victoria hits scenic and culinary sweet spots, balancing leisurely outdoor activities like whale watching with cultural offerings such as the Royal BC Museum and farm to fork dining. If you like your cities with plenty of eye-candy, Victoria’s beauty will certainly please. Verdant mountains and the pristine Pacific Ocean give it a wide-open feel, even in the heart of this manageable city. Families will find plenty to do, yet this West Coast city’s pace is laid-back, not hurried. It enjoys one of the warmest climates in Canada with spring, summer and fall being the best times to enjoy its natural side. Take some time to soak in the relaxed vibe and enjoy its indoor-outdoor gems. Butchart Gardens are spectacular. 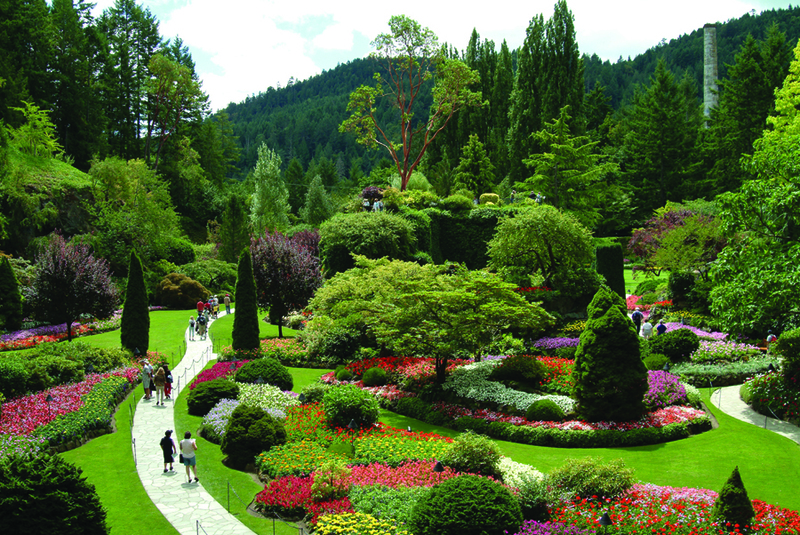 Southern Vancouver Island’s temperate climate is a natural fertilizer for the lush blooms that dominate the scene. Meander the stroller-friendly paths and soak in the splendor of the Italian, Rose, Japanese and Sunken gardens. There’s never a bad time of year to visit, including Christmas, when it’s aglow with a festive light display. Compact Abkhazi Garden is known as “The Garden that Love Built,” a nod to its former owners romance. After many soap opera-style twists and turns, their love story culminated in marriage, happiness and horticulture. Today, it’s a leafy wonderland that is small in size but big on blossoms. Come hungry as the teahouse provides patrons with epicurean treats served with a colorful view. The savory lunch menu showcases seasonal produce, some of it grown right in the garden. Beacon Hill Park is a bucolic green space not far from the center of town, tailor-made for kids who need to burn off a bit of energy. 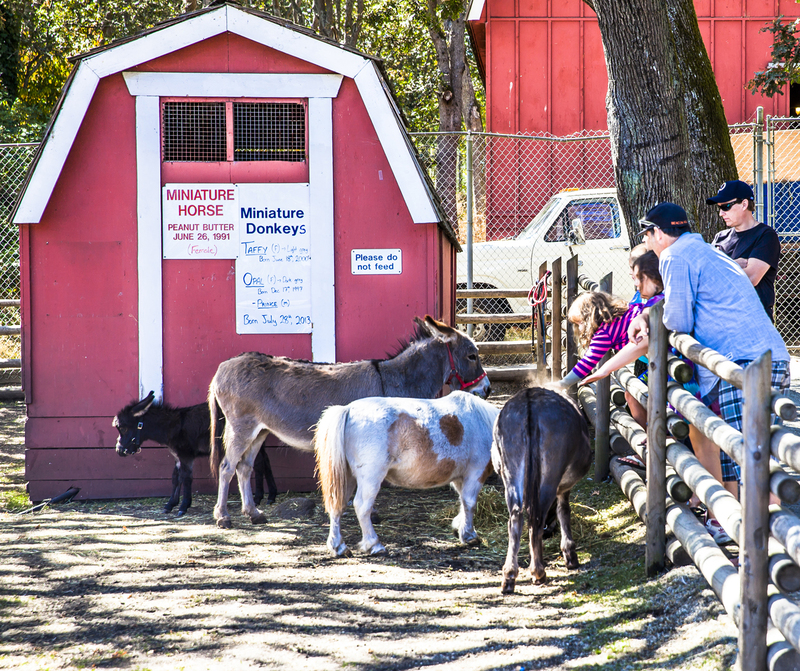 It’s home to a petting zoo with goats, miniature horses, pigs and additional assorted farm animals. You’ll find the world’s tallest totem pole here, amidst the serene ponds, lakes and streams. If your family is interested in marine life, the sheltered waters around Vancouver Island offer some of the highest density of whales anywhere. 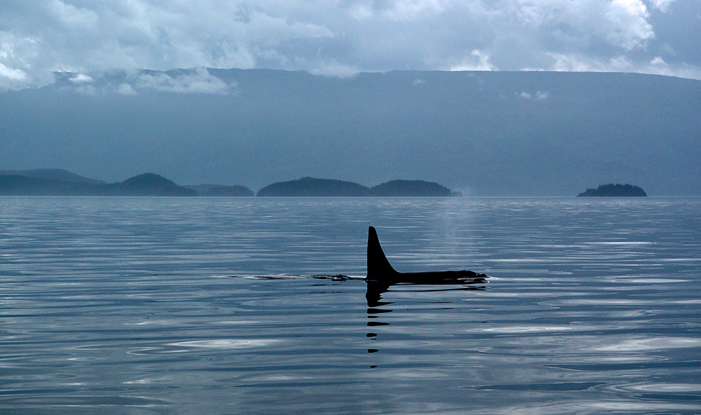 Just offshore from Victoria is one of the most predictable spots to view orcas and many other saltwater creatures, including porpoises, seals and sea lions. Peak season for whale viewing is mid-May through late October. 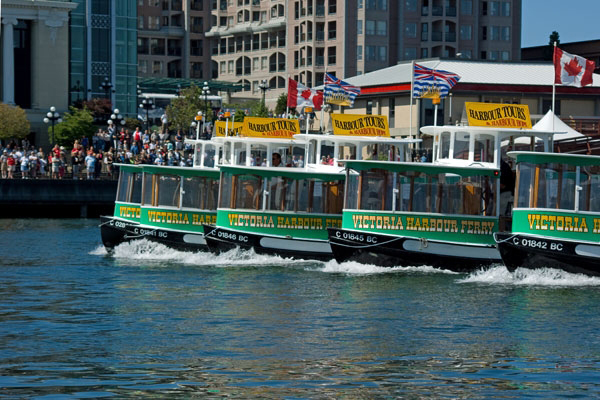 Numerous boat trips depart daily from Victoria’s Inner Harbour. Eagle Wing Tours offers a free shuttle from downtown hotels. In the off chance that you don’t spot any whales on your tour, they invite you to comeback for free. Tours last for approximately 3½ hours. If you’re in Victoria in summertime try and catch the unique Victoria Harbour Ferry Water Ballet. It’s a 12-minute “ballet” only the ballerinas are five ferry boats doing intricately choreographed “dance” moves to music. It’s not to be missed. At Miniature World, kids will enjoy the over 85 diminutive attractions including the world’s smallest operating sawmill and the world’s largest dollhouse decorated with tiny furniture. The Space 2201 exhibit plunges you into virtual reality from the deck of an Avian spaceship, providing an interesting vantage point to ponder the vastness of our universe. If your children are intrigued by the world of insects, you’ve hit the jackpot at the Victoria Bug Zoo. Guides will introduce you to numerous creepy crawlies including praying mantis, scorpions, hairy tarantulas and Canada’s largest ant colony. You may simply observe but for the more adventurous, supervised handling of some of the insects is an option. The Royal BC Museum showcases the province’s natural and human history. Totem poles, masks and other cultural treasures of the First Nations People are part of the treasure chest. Of special note is the new interactive exhibit Our Living Language: First People’s Voices in BC. It explores the nuances of First Nations languages, delving into the importance of sustaining these nearly forgotten languages that are an integral part of the First Nations identity. There’s an IMAX theater here, a fine rainy day diversion. 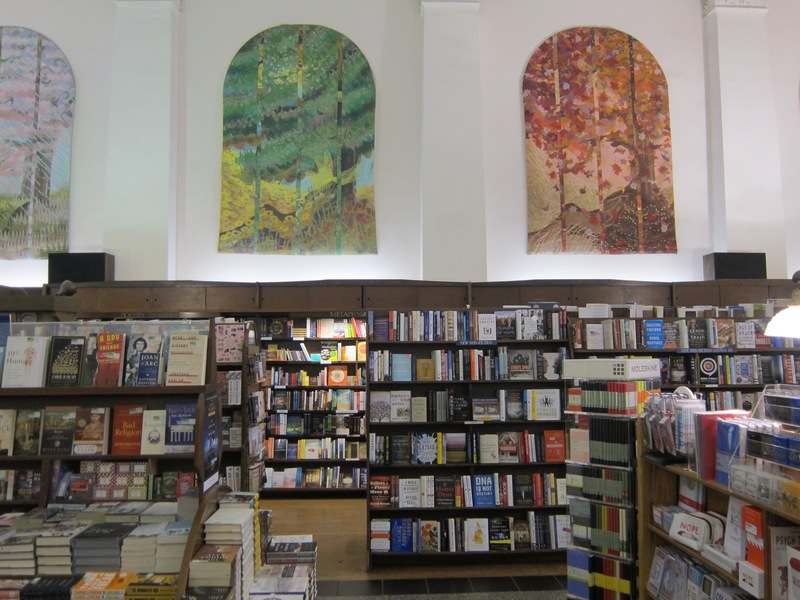 Munro’s Books is one of the most beautiful bookshops anywhere. Stained glass windows flooded with light and original artwork are visual treats. The shelves are lined with hard-to-find titles including Canadian, British Columbian and First Nations authors. The shop was once owned by the author Alice Munro, celebrated short story writer and Nobel Prize winner, so it’s a pilgrimage for literary geeks. The children’s section is cozy and browsing is welcome. Consider purchasing one of the children’s books set in Victoria. Fresh food is a big deal in this part of Canada. The proximity to both farmland and sea ensures a delicious display of seasonal food that will tempt tiny appetites. The bustling Victoria Public Market at the Hudson is the spot to purchase provisions for an al fresco meal. Closed Monday. Victoria enjoys a thriving tea culture. British immigrants brought their beloved teatime traditions with them, establishing an afternoon ritual that continues to be popular. Venus Sophia is a vegetarian teashop owned by a charming young married couple. He’s the cook and she runs the front of the house. Each eye-catching vintage teacup, milk pitcher and sugar bowl have been carefully selected, adding plenty of design panache. The organic loose-leaf teas, cakes, dainty sandwiches and scones are all delectable. 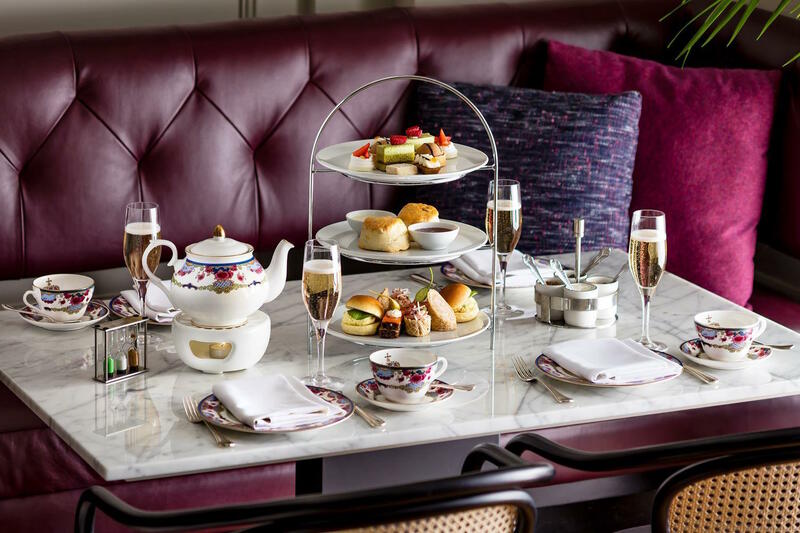 If you’re in the mood for a grand experience and price is of no concern, the stately Fairmont Empress hotel offers a show-stopping tea with all the frills. Their signature Empress cake is a chocolate wonderland. Victoria’s small but atmospheric Chinatown is the oldest in Canada. You’ll find excellent eateries, lots of local color and Fan Tan Alley, one of the narrowest streets in all of North America. This alleyway is home to some appealing stores, including a mouth-watering chocolate shop. At Pure Lovin’ Chocolate, the tempting artisan bonbons are organic. They sell vegan, soy and gluten free lines, so even those with dietary restrictions may indulge. The shop is owned by mother-daughter chocolatiers — a family affair. Locals are hooked on the dark temptress and there’s a bounty of chocolate shops. Venerable Rogers’ Chocolates has been in business since 1885. They use Fair Trade Cocoa to create sugar-spun delights. Try their Empress Squares, soft English-style toffee blended with roasted almonds and hand-dipped in dark or milk chocolate. The Magnolia Hotel and Spa is a top choice for families, both for its location and high level of service. Just steps from the Inner Harbour, it is walking distance from most attractions. The spacious guest rooms, all recently refreshed, are loaded with modern amenities but it’s the highly personalized service that should get your attention. Genuinely friendly employees, who seem invested in every aspect of the guest experience while managing to remain unobtrusive, make this property a real stand out. 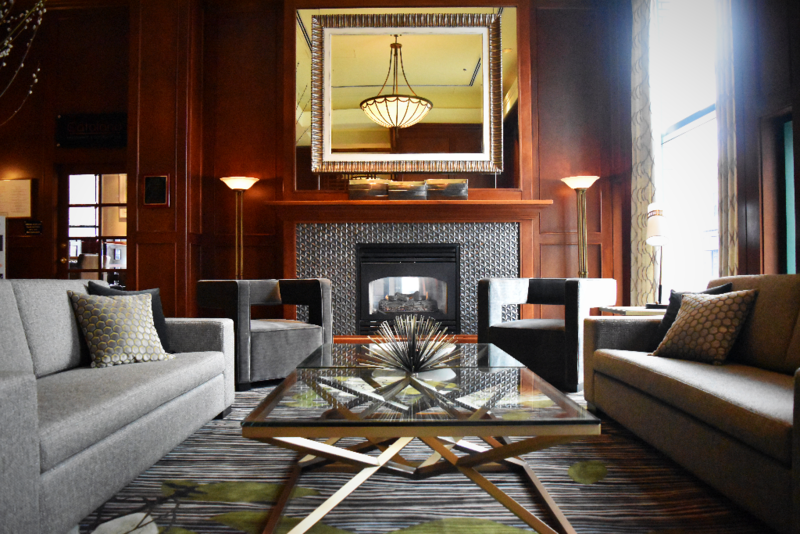 The common areas have been recently renovated and the airy lobby is inviting. In the morning, you’ll find complimentary coffee and light bites. The onsite restaurant, Catalano, leans Mediterranean with Venetian-style tapas and hearty main dishes made with local ingredients. For more trip planning information, go to Tourism Victoria. Photos courtesy of Tourism Victoria, Magnolia Hotel and the author.